Product prices and availability are accurate as of 2019-04-20 16:43:39 EDT and are subject to change. Any price and availability information displayed on http://www.amazon.com/ at the time of purchase will apply to the purchase of this product. Award-winning anti-virus and anti-spyware protection for Windows file servers to prevent viruses and other threats from spreading across your network. If you already have virus protection on your workstations but don’t have protection for the critical business data on your server, this is the solution for you. AVG File Server Edition also includes key additional technology to protect your server against threats from unsafe websites. 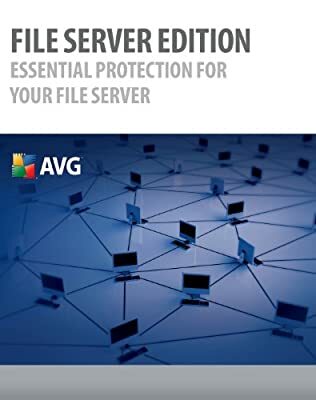 AVG File Server Edition is terminal server enabled and priced according to the number of connections - the number of licenses is determined by the total number of connections to the server. One or two-year subscriptions are available.